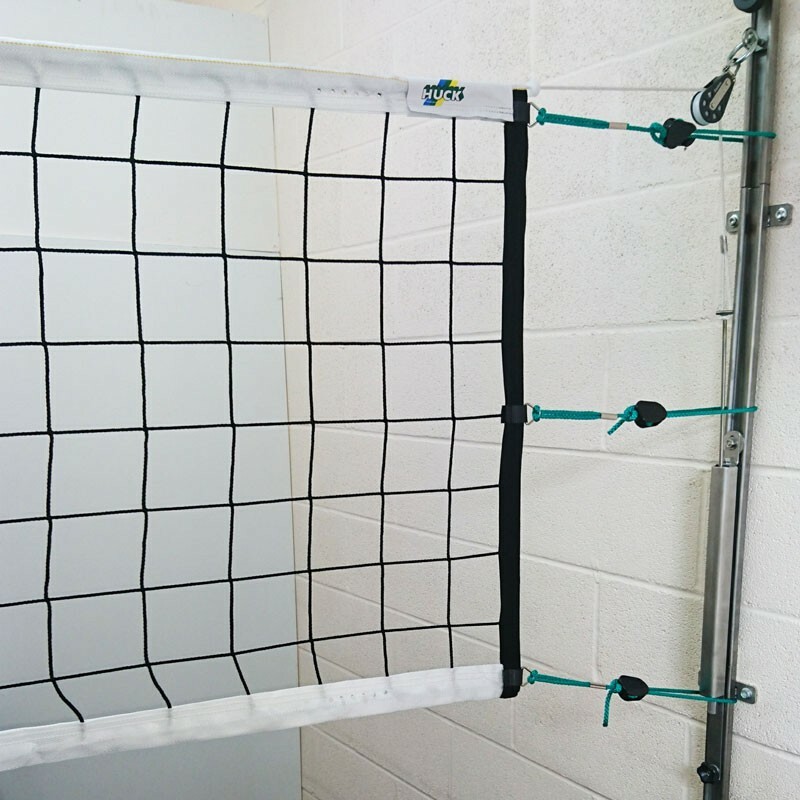 Very hard wearing braided knotless nylon net body, with woven polyester white 70mm wide top headband and 50mm wide bottom band and integral fibreglass reinforced rods for side support. There is a 6 point side suspension with 3 quick release fastners at each end. 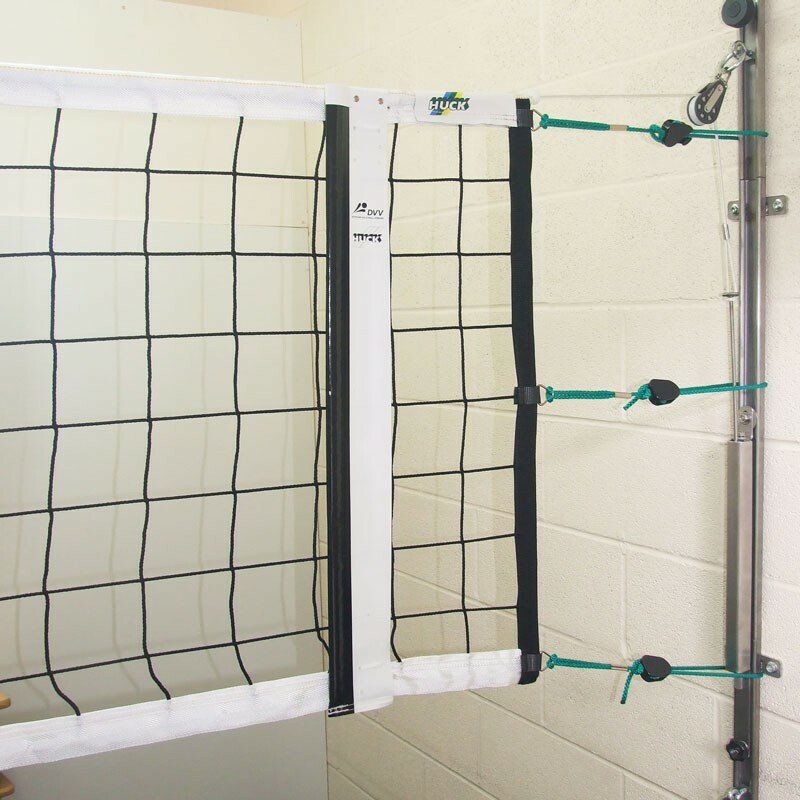 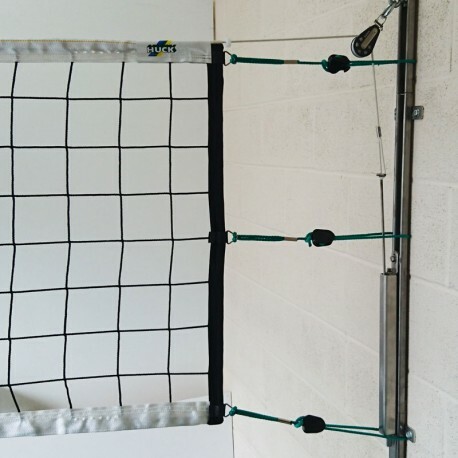 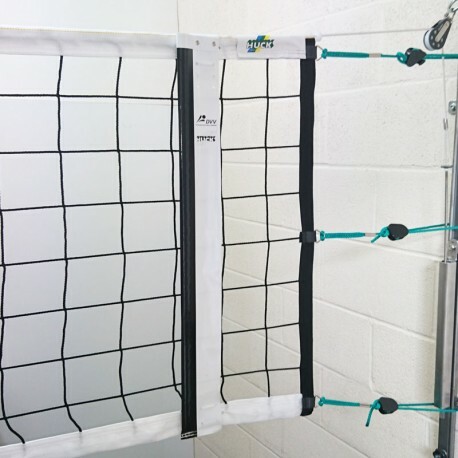 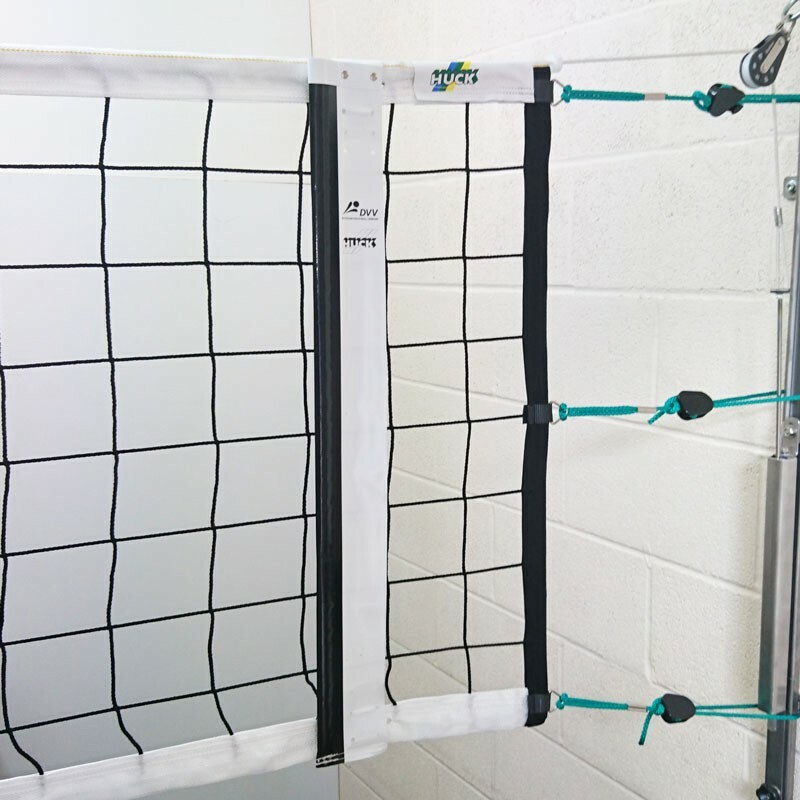 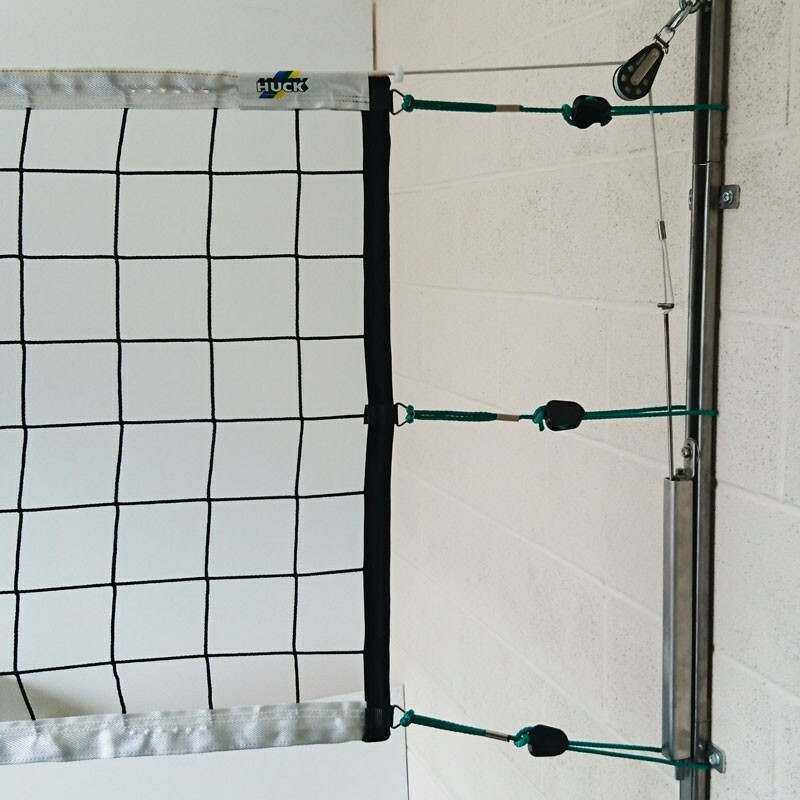 Sitting Volleyball Net 6.5m x 0.8m.